DMCC Releases Financial Education Website to Support Financial Literacy Month | Debt Management Credit Counseling Corp.
To celebrate National Financial Literacy Month, Debt Management Credit Counseling (‘DMCC”) a nonprofit credit counseling organization, is releasing a new website, DMCC University (http://www.dmcccorp.org/edu), focusing on teaching financial literacy. Their goal is to provide consumers free ongoing education to improve their financial lives. Debt Management Credit Counseling announced today that it will join the nation’s efforts to raise awareness on financial literacy by releasing a new educational website, DMCC University. DMCC is helping to promote the importance of financial literacy and the need for financial education. For over a decade, DMCC has committed to spreading financial education through their workshops and informative seminars. DMCC University incorporates their free educational materials to help consumers easily get the information they need. This new website contains worksheets, courses, calculators, videos and guides to help consumers determine where their finances need to be adjusted and also to assist them to stay on track until their financial goals are met. 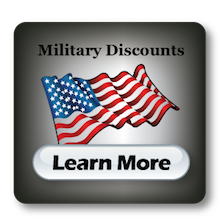 In addition, there is an extensive library of financial articles, information for military personnel and programs for those businesses and schools who would like to receive their partner benefits. DMCC is a 501c3 nonprofit organization committed to educating consumers on financial issues and providing personal assistance to consumers overextended with debt. Education is provided to consumers via seminars, workshops, a proprietary financial literacy program, and a vast array of online and printed materials. Personal counseling is provided to consumers to identify the best options for the repayment of their debt at no charge. DMCC is a U.S. Department of Housing and Urban Development Approved Housing Counseling Agency, is approved by the U.S. Department of Justice to provide bankruptcy counseling and education, and has an A+ rating with the Better Business Bureau.